Mike Townsend's blog has his own personal view of the Wood and includes many photos. Here are some photos of fungi and flowers, January 2014. Photos of our bird boxes in use, April 2015. A Heron visits the Pond, May 2015. Some birds in the Wood, July 2015. 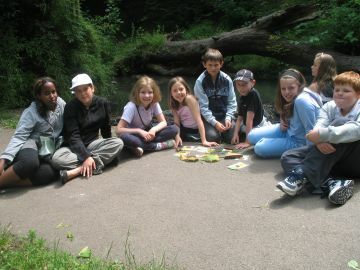 The following recordings were made in June 2007 by Year 5 and 6 children from Badock’s Wood Primary School. The children recorded some of their own thoughts about the wood and then interviewed a number of people on various aspects of the site. We hope you enjoy hearing all about Badock’s Wood.